The most common type of arthritic pain is the arthritic pain in the hands, which occurs as a result of breakdown of the cartilages which support the bone structure of the hands. We, as human beings employ our hands for almost every little thing in our lives. So, you can imagine how difficult it must be for a person with arthritis in hands to go about his/her daily life. Arthritis in hands totally disrupts the quality of life of the patient. Patients suffer from stiffness, pain, swelling and inflammation of the finger joints. 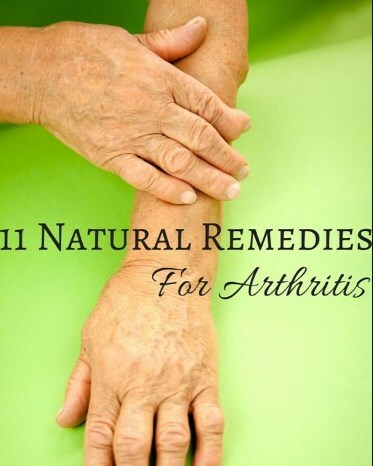 There are many new medications and treatment available for controlling the symptoms of arthritis; however, it doesn't hurt to try some natural home remedies for arthritis in hands, which are available in your very own kitchen. These home remedies are highly effective in improving the symptoms of arthritis of hands thereby improving a person's quality of life. We have given below some tried and tested home remedies for hand arthritis for which you don't even have to step out of your house, as you can find them in your own kitchen. The combination of cinnamon powder and honey is very effective in treating arthritic pain in hands, as they have very effective healing properties. Cinnamon contains antimicrobial and antioxidant properties. Honey contains antiseptic properties; and when both honey and cinnamon are combined, they help in controlling the inflammation and relaxing the stiffness of the joints. Mix ½ a teaspoon of cinnamon powder with 1 tablespoon of honey and eat this mixture every morning, daily on an empty stomach. Turmeric is well known for its anti-inflammatory properties, antiseptic and antibacterial properties and can be effective in dealing with arthritis of hands. Turmeric also helps in protecting the affected finger from micro-organisms. Take a glass of warm milk and mix 1 teaspoon of turmeric and some honey in it and drink it. You can also mix turmeric powder with warm water and drink this daily for relief from arthritis symptoms in hands and finger. Another remedy is, take 1 teaspoon of turmeric powder and add some drops of mustard oil to it. Mix this into a thick paste and apply this paste on to the affected fingers. Leave it for 30 minutes, and then wash it off using lukewarm water. This remedy helps in giving relief from pain, swelling and inflammation of finger joints and hand due to arthritis. Olive oil is very beneficial in treating inflammation of arthritis in hands, as it contains a special compound, oleocanthal, which prevents the production of COX-1 and COX-2 pro-inflammatory enzymes. For reducing the arthritis related pain and inflammation in hands or joints; olive oil can be used in cooking. It can also be used for massaging on the hands and fingers. For massaging the hand and finger joints, take equal quantities of warm olive oil and lavender oil and mix them. You can use this mixture to massage the hand using gentle strokes. Potato is a natural source of antioxidants and anti-inflammatory agents, which is why it is beneficial home remedy in treating hand arthritis. Cut a medium-sized potato into thin sections without taking the skin off. Put these potato pieces in cold water overnight. Strain this solution the next day and drink this potato juice on an empty stomach daily. This raw potato juice helps in giving relief from arthritis pain and helps in relieving the stiffness of the hand and finger joints and thereby making them more flexible. Garlic is another kitchen ingredient which can be used as an effective home remedy in treating arthritis of hands. Garlic has an anti-inflammatory property which reduces the pain and inflammation of the arthritis. Garlic also contains, allicin, which is a compound that helps in preventing the reproduction and growth of micro-organisms which aggravate the symptoms of arthritis. You can consume garlic daily, either in raw or cooked form, according to your preference. Another way is to heat some garlic cloves in mustard oil, then let this oil cool down. You can use this oil concoction for gently massaging your hands and fingers many times a day for relief from arthritis in a natural way. Epsom salt contains magnesium which does wonders in enhancing oxygen usage along with preventing the hardening of the arteries and formation of blood clots. Mix some Epsom salt in warm water and soak your hands in this solution for 30 minutes daily. This is very effective home remedy in alleviating the inflammation, muscle stiffness and pain in the hands and finer due to arthritis. Another method is to mix two handfuls of Epsom salt, one handful of rock salt, juniper oil and fennel oil in warm water. Soak your hands daily for 15 minutes daily in this concoction. This remedy is also beneficial in alleviating pain, stiffness and inflammation of the arthritis. Castor oil has potent medicinal and curative properties. Ricinoleic acid is a fatty acid which is present in castor oil and it has anti-inflammatory, antibacterial and analgesic properties, which help in giving relief from arthritis pain naturally. Castor oil can be used to gently massage the affected hands about twice a day. Another remedy is, take 2 tablespoons of castor oil and boil it. Add this to a fresh glass of orange juice and drink it on an empty stomach. In a few weeks, you can see improvement in your arthritis pain. Moist heat application and warm compresses are very effective home remedy in relieving finger joint pain from arthritis. Warm compresses help in encouraging blood circulation which in turn helps in relaxing the stiff muscles and joints. You can soak a towel in hot water and wring the excess water out of it and put it on your hands and fingers. Do this many times a day and you will find improvement in movements of your hands and fingers. If you do light exercises along with using warm compresses, then it will help you more. A simple home remedy of cold application and ice therapy also can be done for hand arthritis, as it helps in reducing irritation and soreness of the hands and fingers. You can use ice packs or a fill a plastic bag with crushed ice or frozen greens from your refrigerator. Put this cold pack on the affected area for some few seconds. Repeat this process a few times and make sure you are applying the cold compress to one or two joints at a given time and always, always use a thin towel in between the ice pack and your hands/fingers to prevent frostbite. Cold therapy has a different affect in different people. Apple cider vinegar contains natural anti-inflammatory and alkalizing properties which help in decreasing pain and stiffness in the fingers and hands caused due to arthritis. Mix 1 tablespoon of apple cider vinegar, some honey to a glass of warm water and drink this daily. Another method is, warm some apple cider vinegar and add some amount of cayenne pepper to it and mix it into a paste. Apply this lukewarm paste to your painful finger joints and leave it there for around 10 minutes. This will help you in giving relief from the pain, stiffness and soreness of hand arthritis. So, as you can see, we have given you some common and effective home remedies for arthritis in hands. Keep in mind that these home remedies are helpful in relieving the pain caused due to arthritis but it cannot reverse the damage to the joints caused due to arthritis. However, you should also follow the treatment given by your doctor and combine this with light exercises and physical therapy for better improvement in joint movements of the hands and fingers.